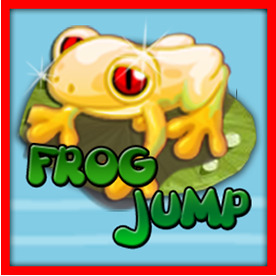 In the Frog Jump game,there are five colour frog . Player's task is to guess which frogs will run the faster . Joker: Subtitute to all frogs. Multiplier: Multiplier x2,x3 and x4 . Free Frog: Extra 1 frog for winner.